CONFESSION TIME: I'll throw my hands up and admit it. I'm a crap person at buying other people presents. Quite good when it comes to myself - but for others, I always leave it to the last minute. Now also - another confession. I am a HUGE mummy's girl and always have been. In fact, I used to kind of get teased about it a bit at school. So I really like to make sure my mum knows I love her. If your mum is like mine, she loves buying presents for others but can be very picky when it comes to things for herself. Which is why I thought you might find it useful to see my ideas of cute gifts for every budget for mum that will really make her woop and bring out the good china for tea. Bonus: they are all from a seriously excellent Wellington store which has been going for 25 years aka Cranfields! It's very easy to fall into a rut of buying the same thing year after year. Which is why inspiration on blogs, pintrest and other places can be so useful to gather ideas so you don't just find yourself buying her a bottle of wine, again (which let's be honest you'll drink yourself later). As mentioned above, Wellington Store Cranfields very kindly offered to let me paw through their stock to find some goodies for mums, in exchange for helping me find something for my own mum. I've got to admit. It was a little bit hard not to go cray-cray. But to keep it simple, I went for three things under $25, $50 and $100 each, totalling around 10 items (I threw in an extra one just to keep life interesting). You'll love their lush items. I hope these help you whip up some ideas about what to get for mama dearest. Also, as you know I love buying from local stores like Cranfields so if you can get mum something she loves which also supports little local businesses, you're REALLY winning. Raise a glass to mum with a lovely bee wine glass. I love these and picked them for a quite personal reason which is that my mum has the tumbler version of these already and I know she would really enjoy the wine glass version. You'll never regret buying quality when you're thinking about setting up a home, but especially when it comes to buying for mum's you can't get away with a cheeky box of Warehouse glasses. Make her buzz with pleasure as she pours a glass of sav out in these babies. French women used big blocks of Marseille Soap to wash their linens in communal washing areas. Now, this legendary soap is adored as an incredibly pure, gentle and moisturizing skin care for the face and body. It’s delicate and hypoallergenic for even the most sensitive skin types. Marseille Soap is naturally luxurious and adds a classic accent to ya mama's home. Fancy soap is one of those things that mum's never buy themselves (hello Pears and Palmolive) but they SO appreciate. It will remind her of you every time she goes to the bathroom (in a good way!). Handmade in NZ by new New Zealanders (refugees mainly from Syria and Russia) and so so soft. Basically, I just want to have a giant one of these so that I can rub my face into it. This accessory would be great hanging off a handbag if your mother is fashionably inclined, or simply as a key ring. Personally, I think it is lovely to have a little bit of lucky possum, wherever you go. I know this is something that my mum would first laugh at, then adore. Really, what else sums up how you want your mum to react to anything? Hand made in Raglan with much care. These bowls and vases are super good value. They really stand out as unique pieces of crafted pottery but are sturdy enough to be used every day. If you know your mum likes entertaining (or putting her feet up with some olives and nuts on the couch alternatively), or is an applied arts fan (specific, yes, but they do exist), she'll really like this and think you paid much more than you did. Hurrah! Win-win! Some mums are real fashionista. I know mine is! 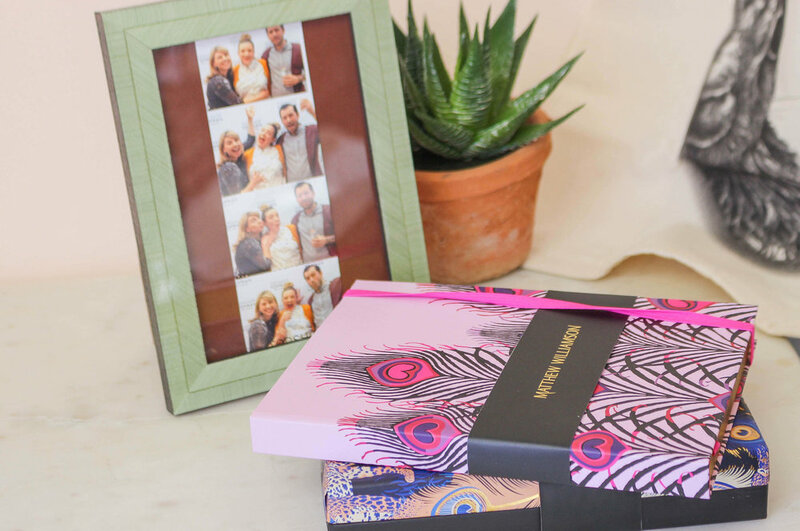 If your mum was a fan of Matthew Williamson, the designer who leapt to notoriety in the 2000's when Mischa Barton and Nicole Richie made his boldly patterned dresses a household name, she'll love this beauty of a journal or these note cards. And if all of this means nothing to her or to you, well - it's still a damn nice journal to make shopping lists in. Sign up to receive weekly updates? Memories....like the corners of my miiiiiind! Ahhh yes - what better testament to ya dear old mum on Mother's Day than a picture of her and you in a frame. I love this elegant number in a neutral green shade which will pretty much go with anything. On the other hand, if you know that your mum isn't that thrilled with you right now, perhaps go with a picture of the family dog. Beautifully made and guaranteed to last, this one is a great find! Bunny rabbits are all the rage right now (or so they tell me). 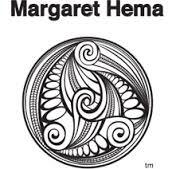 A sweet little tote bag, designer by locals from the Wairarapa will make her resplendent down at the Sunday Markets. I love that this calico bag has a very detailed drawing of a rabbit on it which looks like one from a childhood picture book. This is a practical present that someone arty will adore. The Metro is the ultimate balance of portability and performance for a compact umbrella so mum doesn't get caught in the rain. This model is the strongest collapsible umbrella around. It is the go-to choice for urban dwellers, folding up, and sliding into its sleeve so that it fits easily in mum’s bag. Started by some Kiwi's who wanted an umbrella which actually worked, $99 may seem like a lot of a brolly but I can promise you this will be the last one she ever needs. Designed for mad weather like Wellington's. Abby Rose Honey & Spice Candle $75 The world is divided into two sorts of people. Those who get scented candles which cost as much as a weeks groceries and those who do not. If she does love a bit of nostril luxury, look no further than this Honey & Spice Candle from Abbey Rose, a New Zealand Candlemaker. This makes for an alluring and sensuous scent. Exciting aromas of a hot Moroccan souk combine with a rich blend of sticky honey, nutmeg and bergamot scents will help her drift away. Woody base notes of agar-wood and sandalwood add earthy depth. This Large candle is 350 grams, approximate burn time 60 hours. Burn baby, burn. When in doubt, I like to buy and eat cheese. Laguiole is made in France and of the highest quality. You could have accidentally run over the family cat last week, burnt down the shed and 'borrowed' her favourite handbag. But if you show up at her door with these knives and a bit of camembert, all will be forgiven. What are you buying for your mother for mother's day? Let me know in the comments below!